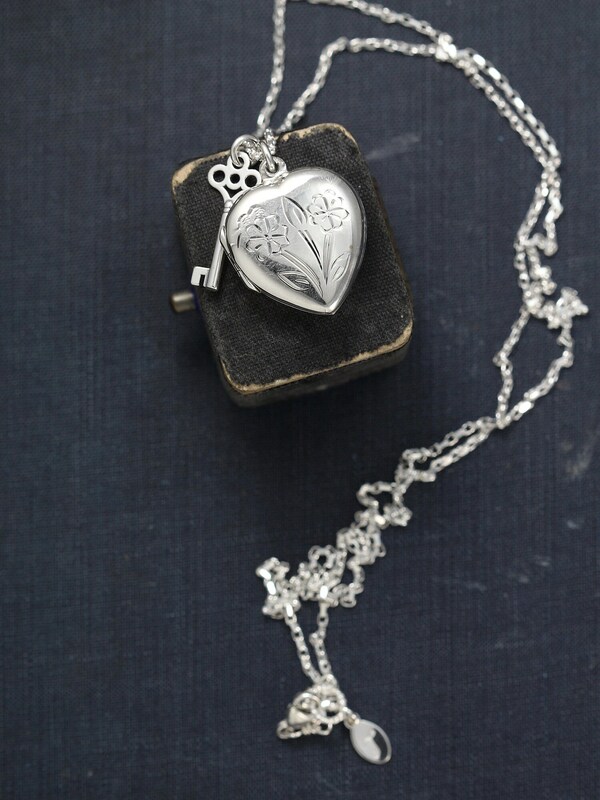 Two sweet little flowers are engraved on the front of this simple, classic sterling silver heart locket. 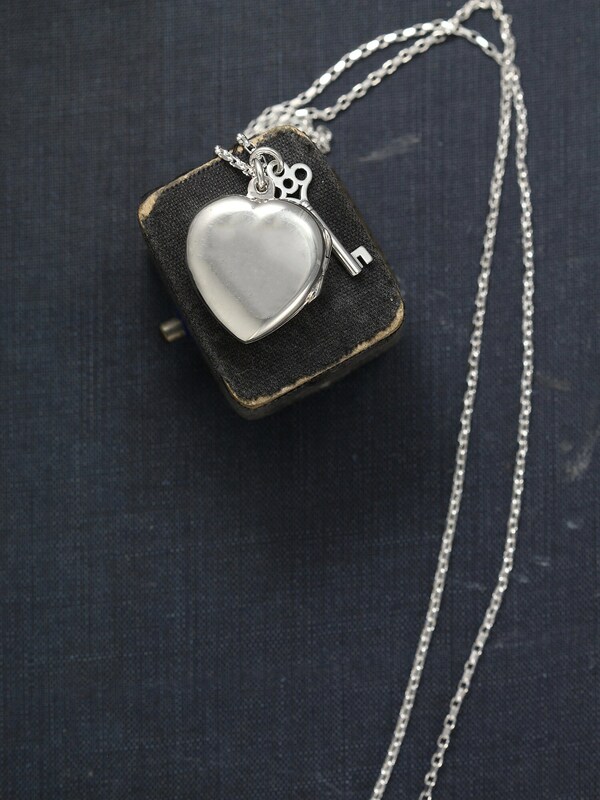 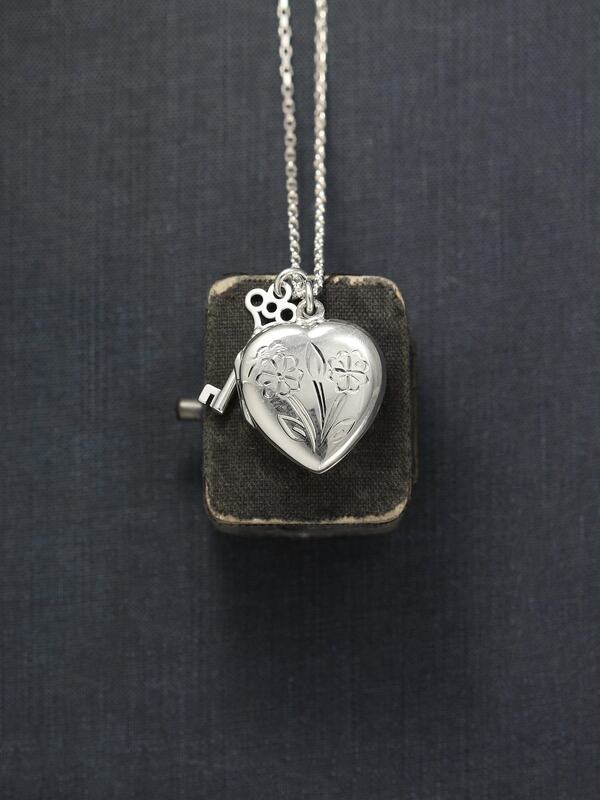 The locket is paired with a tiny skeleton key representing the key to the heart. 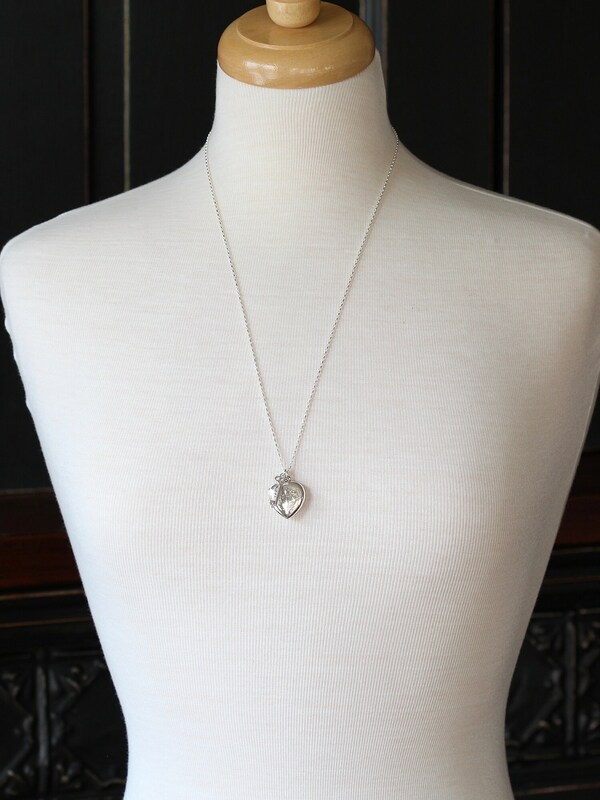 The pendants dangle on a new long sterling silver diamond cut chain hand finished with a trigger lobster clasp and ring.